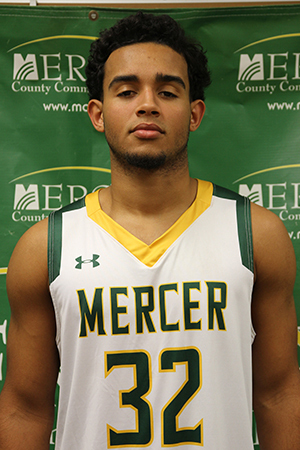 West Windsor, N.J. -- The Mercer County Community College (MCCC) basketball program is once again being recognized for a great week on the court. Two Vikings athletes, freshmen Tylisha Livingston and Eddie Williams, earned Garden State Athletic Conference (GSAC) Division II Players of the Week honors. The selections were based on their performance in away games against Essex County College on Dec. 7. Livingston did it all in the Vikings' 65-55 victory. Livingston had 21 points, 16 rebounds, 6 assists, 5 steals and 2 blocks in the win. 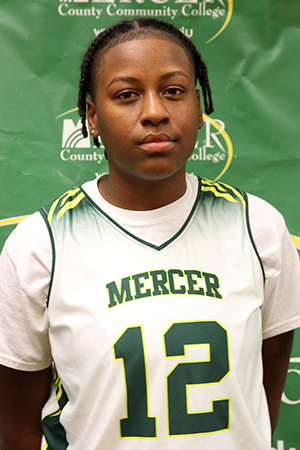 Her fourth double double this season, Livingston is averaging 14.5 points per game and 9.3 rebounds per game. Williams continues to be a strong presence for the Vikings this season and helped Mercer in a decisive 87-54 win at Essex. He had 18 points and 4 rebounds. Williams is averaging 14.3 points and 8.6 rebounds per game, placing him in the top 50 in Division II basketball in rebounds per game. The December schedule continues in earnest prior to winter break. The men will play at home in the Mercer Mixer this weekend. Saturday's game versus CCRI starts at 3 p.m. and Sunday's game versus Union starts at 2 p.m. Additional game include an away game against Rowan at Gloucester on Dec. 19 and a home game against Camden to close out 2017 starting at 7 p.m. The women play two games prior to winter break: an away contest versus Rowan at Gloucester on Dec. 19 and a home game against Camden to close out 2017 starting at 5 p.m.